We poured the concrete countertops this weekend you guys. But before we jump into a “how-to” series regarding our process, I have a little bit more info to share with you about our cabinets. I mentioned in our last post how we decided what size and configuration of cabinets we wanted, but I didn’t cover our door choice, hardware, etc. So here are those details. 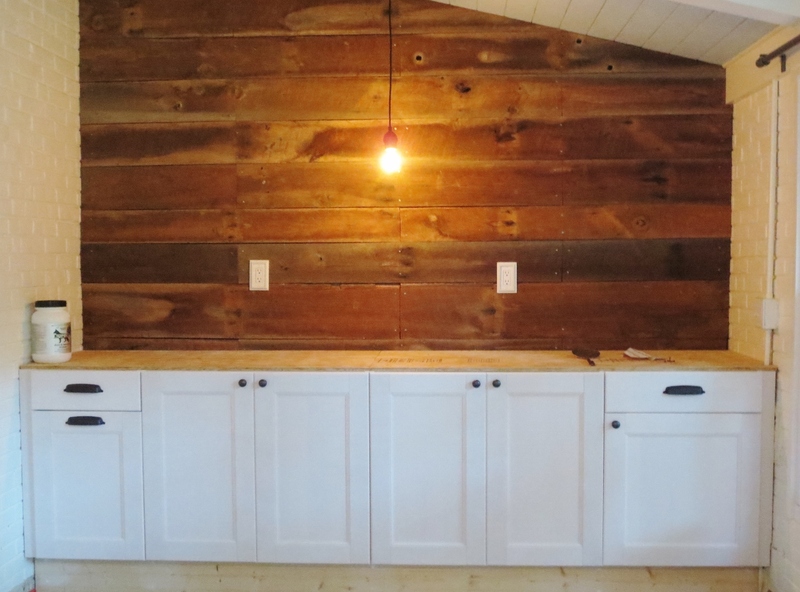 Choosing a cabinet door style was a one of the decisions that held this project back for awhile. Are you surprised that I had a hard time making a decision? I am such a commitment-phob! 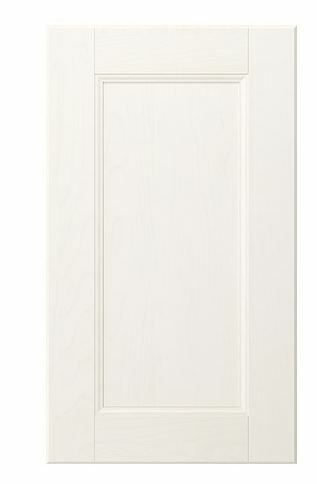 Ikea has lots of great door styles in their collection and companies like Semi-Handmade provide even more options. At first I was drawn these this grey option. 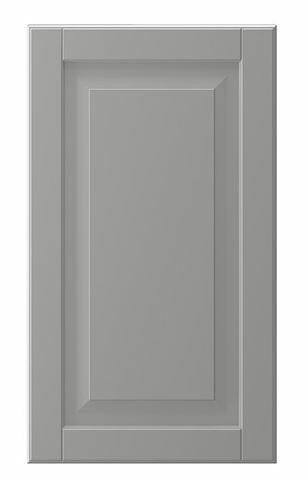 This the IKEA Lidingo door in grey. I thought it would help bring out the grey tones in the barn board. Here’s a photoshopped idea of what that would look like. Anyway, we nixed the grey cabinets and next considered the Ramsjo, which is a shaker style door in a semi-white-wash finish. 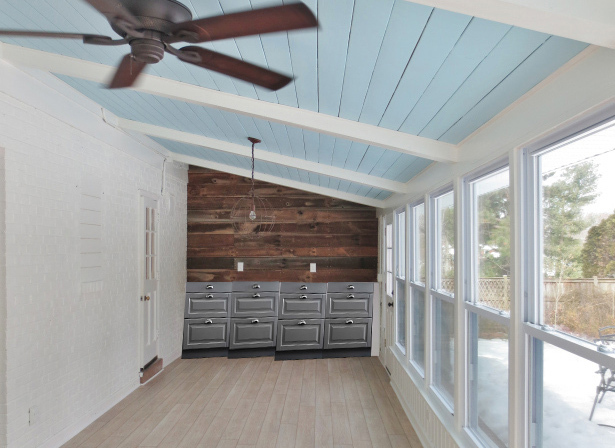 We liked the shaker style since that’s what we think we would like in the kitchen eventually and the white wash finish tied nicely with both the floors and the barn board. Se we went for it. Here is what they look like all installed. Don’t worry about the red stripes on the sides, that’s just the flooring underlayment that is exposed temporarily while the base boards are removed so we could install the cabinets. For hardware, we knew we wanted oil rubbed bronze since that’s what the rest of the fixtures in the room are. 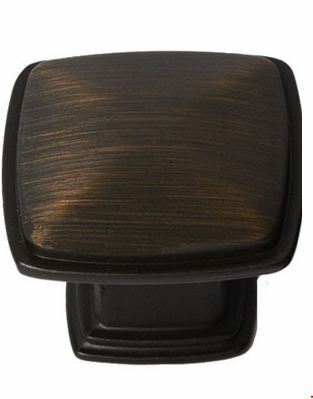 Some oil rubbed bronze hardware, such as this example below, have a brushed look to them. I didn’t want that. I wanted something that was almost black and I didn’t want to have to buy a hundred of them. Many of the cheaper options I found were only sold in sets of 10 or 20. So I ultimately decided check out Restoration Hardware since I knew they you could order custom amounts. We ultimately decided on these 4″ cup pulls and these 1 1/4″ knobs (total cost about $100). Sorry this is such a crappy, low light photo, but you get it idea with the hardware. We have moved some stuff into the cabinets and I am love with all the space. We had to get some smaller containers but the dog’s food fits nicely into the cabinet on the left. In the drawer above we are going to get a container that will house their supplement powder that is currently sitting on top of the cabinets so that will be tucked away eventually as well. I will share a photo of them all open once I get a few more organizers in place. 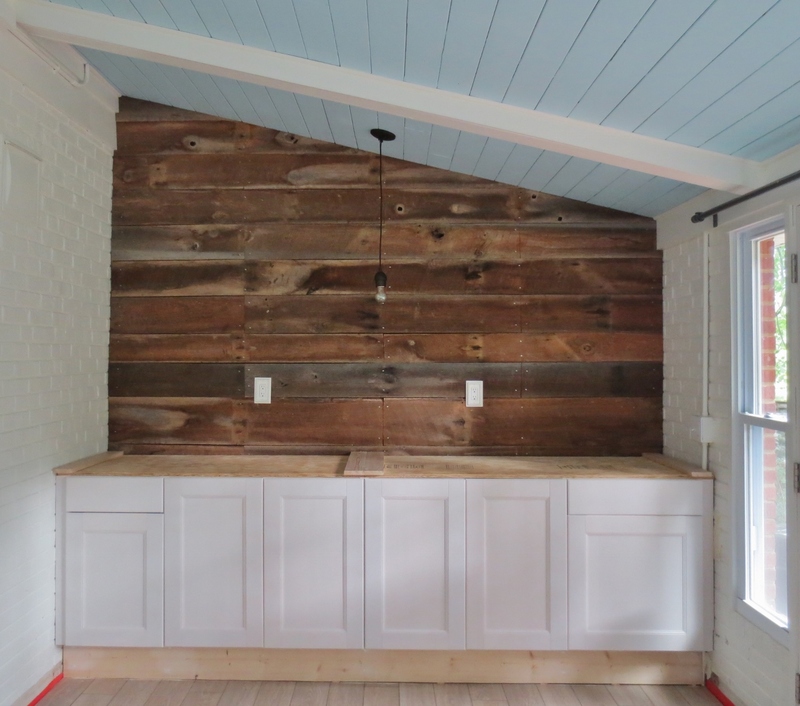 To share a little bit about the countertop process, I will tell you this, it was exciting and not without itss ups and downs. I promise to fill you in next week!